You are already trained as a teacher and you have years of experience so knowing about NLP is the icing on the cake. It will give you an extra tool in the tool box and another way of approaching your lessons and students. The book starts by introducing some of the NLP beliefs of excellence such as ‘If you always do what you’ve always done you will always get what you’ve always got’ in other words if you want a different result it’s you who has to change. You get the opportunity to consider some of your beliefs about teaching and challenge them. We look at skills you have and how to model skills you want from other teachers you work with. 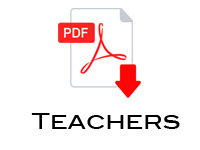 Communication is very important to you as a teacher so find out about how communication can be improved by understanding how we delete, distort and generalise. Find out what words work well and which to avoid. You’ll learn how to use embedded commands to get reluctant pupils to do what you ask and how to focus on what you want to achieve rather than what you want to avoid. Get to grips with visual, auditory and kinaesthetic ways of teaching and learning. Learn how to boost your pupils confidence and help them overcome their limiting beliefs using NLP techniques such as Perceptual Positioning . Learn how to help them set goals and how to give feedback your pupils can learn from. “Words like ‘always’, ‘never’, ‘everyone’, ‘no-one’ are generalisations. They can’t possibly be true and there is richer feedback in looking at the exceptions. Focus on the positive and point out that when they did x the result was excellent rather than the many times they did not and the result was disappointing. All pupils know who is the best in the class at different subjects and different skills. Just imagine if they could learn from each other as well as from you? 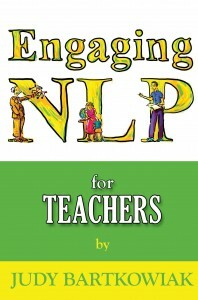 Find out how to teach NLP modelling to your class. Lastly, there will be good days and bad days as a teacher, how can you use NLP techniques to cope with the bad days and anchor the good ones?